We’re back once again in 2018 with our favourite educational Christmas gifts available in the local shops. As with all of our tuition we like to make learning fun especially during the festive period. 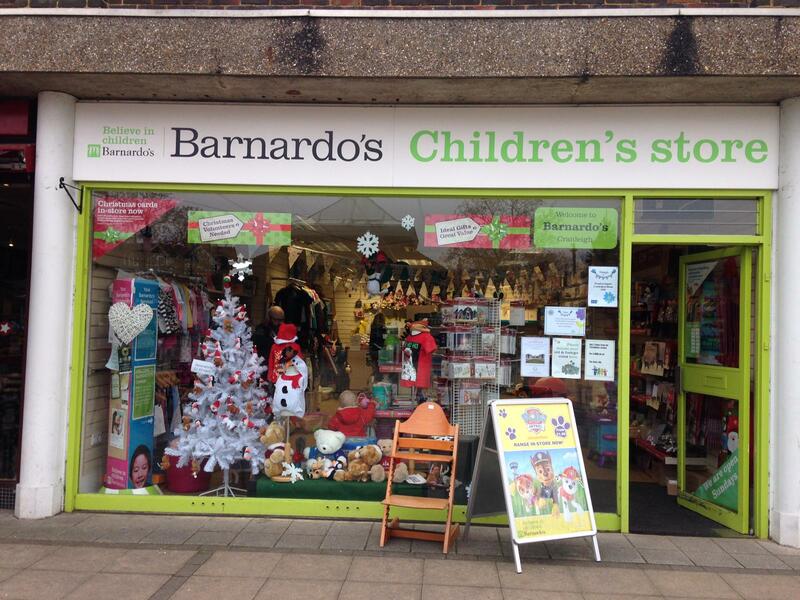 Plus Smithbrook Tuition is promoting amazing local businesses for everyone to benefit this Christmas. Centre director Sue is in the Cranleigh shops this November picking a treasure trove of exciting presents at Manns, One Forty and Between The Lines. There are some classics with a twist, price-conscious choices, high-tech wizardry and outdoor adventures for everyone to enjoy (maybe even the parents). Our pick of the toys this year comes from Between The Lines and encourages youngsters to get outside. To be honest it looks like a lot of fun for the ‘not so youngsters’ too! Bugnoculars enable little scientists to catch and observe critters, leaves, flowers, and more in this bug-friendly, kid-cool, transparent container. 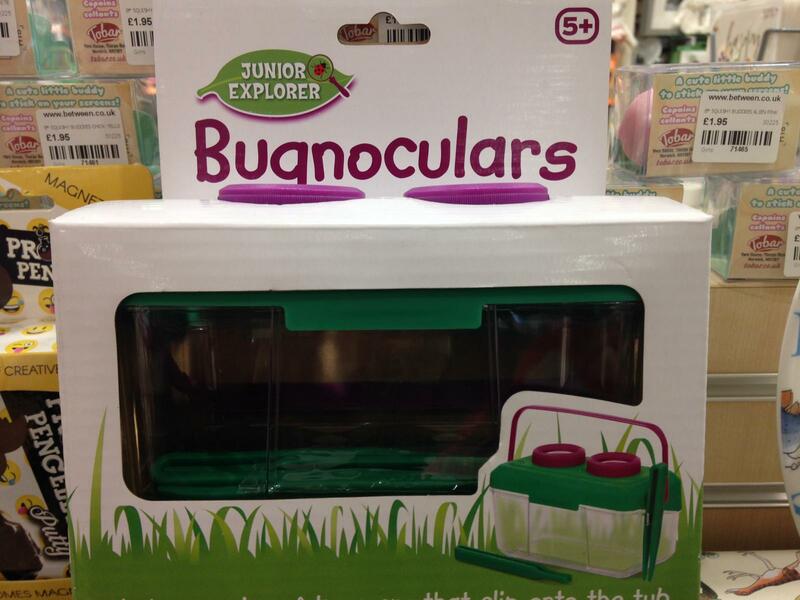 Ideal tool for young entomologists and explorers and encouraging outdoor exploration and hands-on scientific discovery. Plus it’s watertight so you can even start examining a backyard pond or local stream. 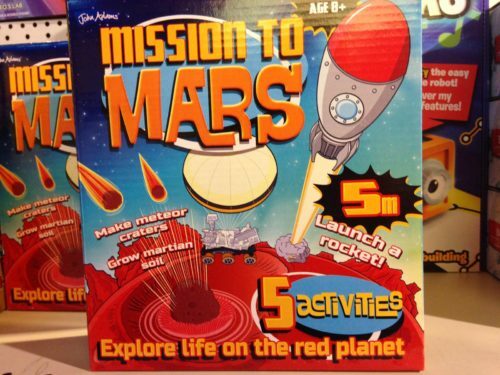 Mission To Mars lets kids explore life on the red planet! Includes play scene with 5 fun activities. Kids can create their own red Martian soil; make meteor crafters; test which parachute design is the best to land their rover; use AR to create a video backdrop to their play scene and launch their escape rocket! Experiment with colour mixing then grow amazing jelly-like crystals in many different colours. Create a rainbow in a test tube and see the world through rainbow glasses! 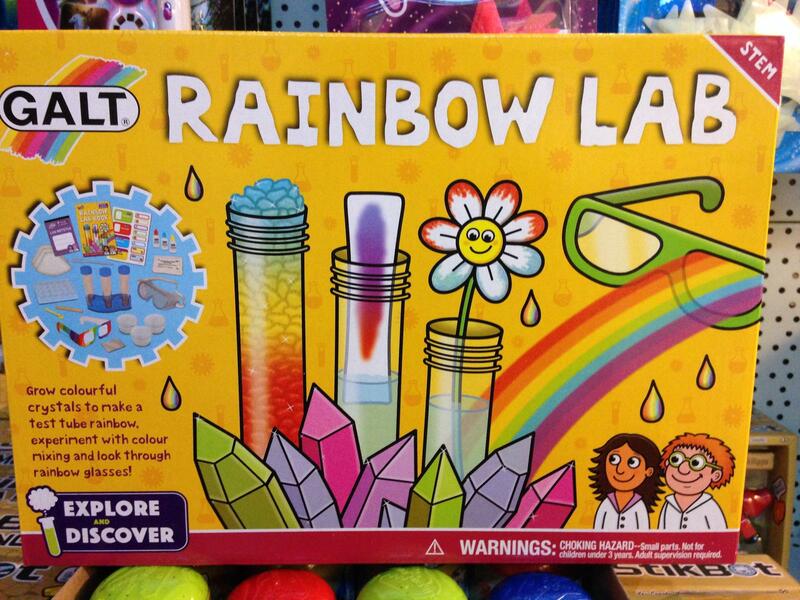 Rainbow lab includes 12 fun experiments and is part of the new Explore & Discover STEM range. 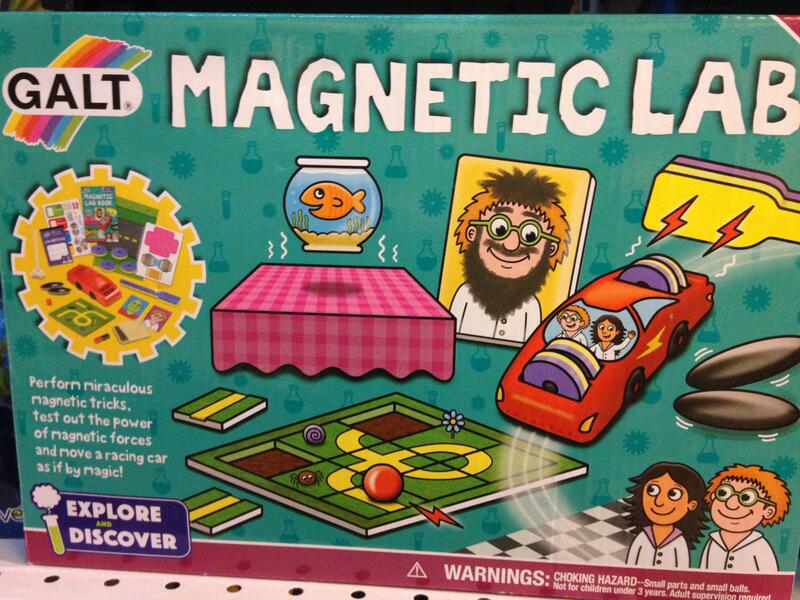 Perform miraculous magnetic tricks with the Magnetic Lab. Drive a racing car without touching it, make rattlesnake sounds and perform an amazing levitating trick! Test out the power of the magnetic force as you design mazes and create funny faces! Includes 10 fun experiments. Some games are relatively easy whilst others are more challenging. All are great fun ways for children in Key Stage 1 and 2 to develop their mental maths. 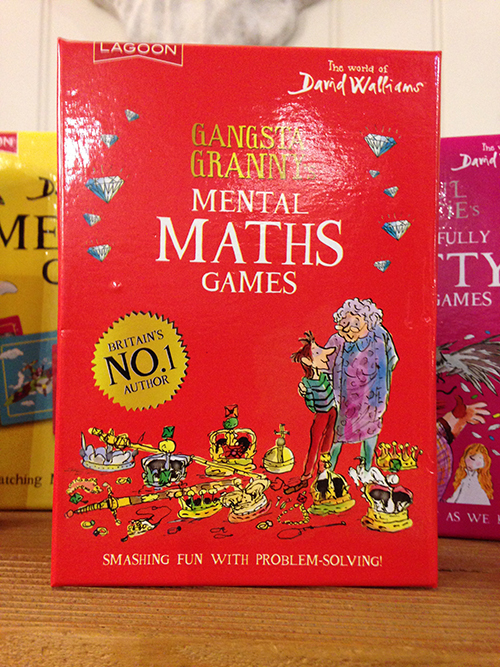 Do your maths and make your Gangsta Granny proud! With this collection of fun mental maths games, players add, subtract or multiply to get the highest possible scores. Based on the David Walliams book, some games are relatively easy, whilst others are more challenging. With 48 cards all beautifully illustrated by Tony Ross, this is a really fun way to develop maths skills and solve problems. One last suggestion before you head out to the shops. With Christmas such an expensive time of the year why not support a worthy charity where you’re guaranteed to find some of the old favourites.